How to make your meeting with sales team more productive? If your hotel has a sales person or a sales team, you would be meeting them or the person to understand the state of business. Regular review of what the sales team is doing is critical for many aspects of the business like understanding demand and forecasting. It also helps you to plan downstream activities like labour planning, procurement etc. If you are not doing it, my recommendation is that you start. If you are doing the meeting, this article will tell you how to make the meeting with sales team more productive. You can divide the meetings into daily standup, weekly or fortnightly and monthly meeting. However if you don’t have a plan on what to discuss during the meeting, then you are wasting precious time and resource and missing out opportunities to make more money. The most important rule while planning this meeting is that you must do it outside of now peak working hours either first thing in the morning or later in the evening. 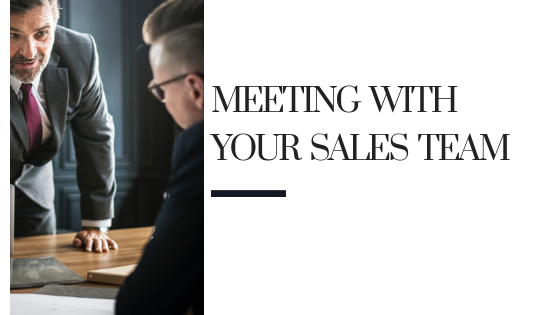 If a meeting is going to take away precious time of your sales resource from important task like prospecting, it will be a drain on your sales effort. Daily meetings are a great way to check on team, to motivate them by celebrating small wins and to get the team to focus. The easiest way to do this is to get all your sales team member to a room, serve tea and keep the meeting short. To make the most of this meeting with sales team productive, restrict the meeting to a few agenda points. Once you do this consistently over a period of time, your sales team will come prepared and you will move through the meeting faster. Also use this opportunity to celebrate success and wins however small you may have had. During this meeting, you must use your time to do some critical thinking and see if your action plans for the month worked or not. Making the most productive use of meetings with sales team will ensure you make more money for the hotel. If not you will just be drinking tea with them. Spend the meeting and set these agenda points to get everyone on your team to focus on the task at hand.